The Galaxy S9 has arrived in the United States and around the world. After unboxing Samsung’s latest flagship phone and fawning over its sleek design (and the inclusion of an actual headphone jack), it probably won’t be long before you find yourself hitting the dedicated Bixby button. If you’re a fan of the assistant and its powerful ability to control apps and change settings, maybe you’ll be doing so intentionally. But a lot of you will inevitably bring up Bixby when you mean to change the volume; the buttons are a little too close together to avoid the occasional mistake. If you find it happening often, you’ve got the option of disabling Bixby entirely. That way, accidental presses of the button will have no effect. Bixby won’t interrupt what you’re doing, and you won’t have to waste time dismissing it. 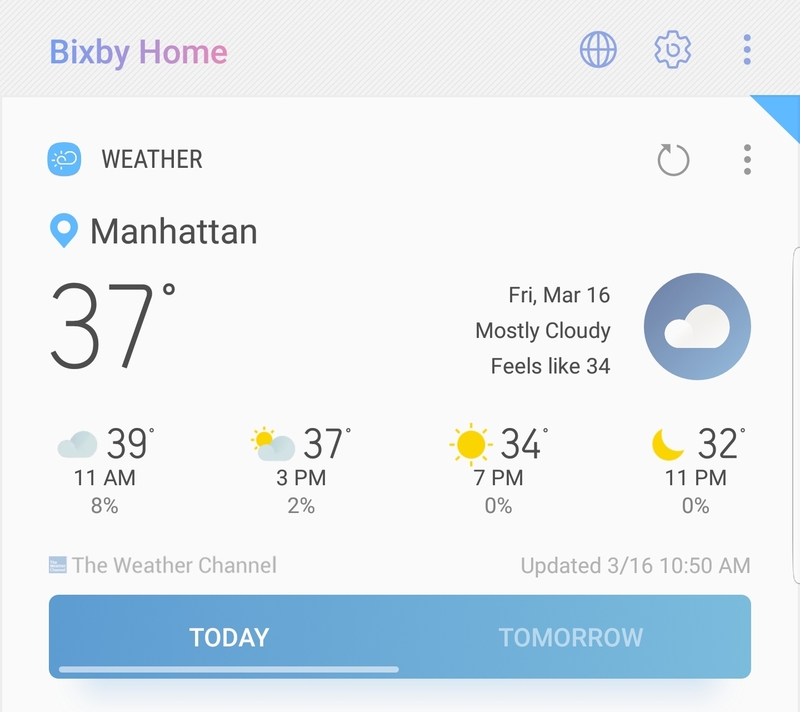 From the home screen, hit the Bixby button to bring up the main Bixby app. (You can also get here by holding down the button and saying “Bixby settings.”) At the top right, you should see three icons: a globe, a gear, and the traditional three-dot hamburger menu. Tap the gear icon, and then turn off the “Bixby key” option. There. You’re done. The above steps will stop the Bixby button from performing any corresponding action; it’s now a dead button. If you’re the fidgety type, press it to your heart’s content. Nothing will happen. At this point, Samsung’s assistant remains fully functional, and you can still trigger Bixby either by using your voice or by swiping over to Bixby Home to the left of your main home screen. Again, it’s worth at least giving Bixby a trial run to see how you like it. Some people like having both it and Google Assistant at the ready. 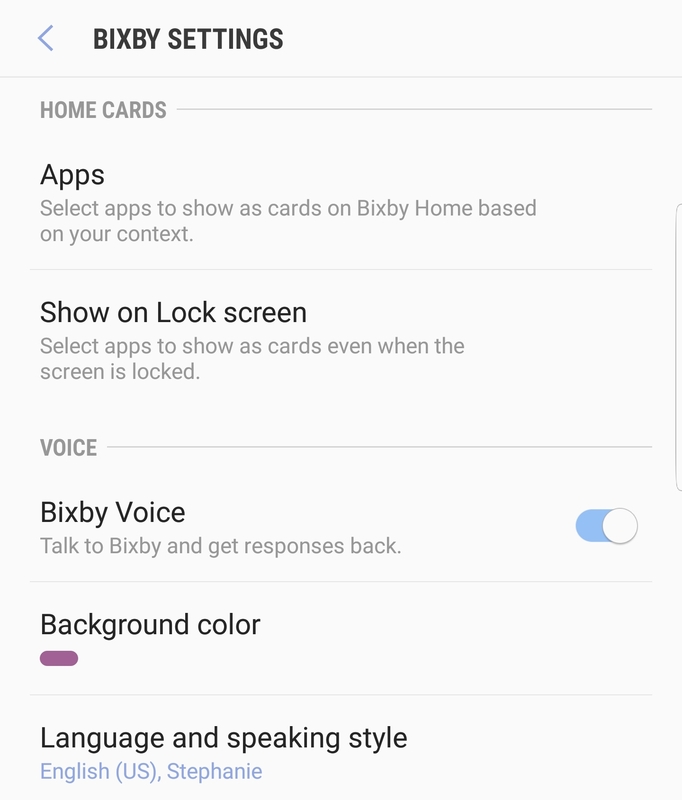 For those who want to shut it off completely, you need to disable both Bixby Voice and Bixby Home. Both are very simple to do. To shut down the voice hot phrase, hit the three-dot icon mentioned earlier. Inside that settings menu is a simple toggle for whether you want your Samsung phone listening for Bixby requests. Once you turn it off, you’ve eliminated another way of bringing up Bixby. The last step is getting rid of the Bixby Home side screen. Tap and hold on an empty section of your home screen, and then swipe right to reach the leftmost panel, which is Bixby Home. To get rid of it, toggle the button up top to the off position.